Addressing the slow output question, we definitely see a declining overall trend in movies produced targeted toward the African American audience. In keeping with the same time period from our first box office analysis, we will use the last three years 2008-2010. For movies classified as African American: in 2008 there were 5, in 2009 there were 4 and in 2010 there were 3. In 2010 the three movies: Death at a Funeral made only 12% overseas, a fairly low $6.2mil on a total of $48 mil, For Colored Girls… a Tyler Perry movie was not released overseas and Disney’s The Princess and the Frog took in 60% overseas. In 2009, two of the four movies were Tyler Perry movies. Again these did not have international distribution: I Can do bad all by myself and Madea goes to Jail. We chose Precious and The Blind Side because of the lead characters and because both were Oscar winners to get a barometer on ticket sales against 2010. Precious did 25% overseas and The Blind Side only 16% overseas. Recall that The Blind Side hit our previous article for a top U.S. movie in 2009, as well. Moving on to 2008, there were five movies and again we see a Tyler Perry movie, Meet the Browns with no international release. Hancock was the only film that fell in line with a 63% in overseas ticket sales. The other releases were as follows: Welcome Home Roscoe Jenkins, a Martin Lawrence movie with only 2.7% overseas and The Secret Life of Bees with only 4.7% overseas. Miracle at St Anna, a Spike Lee film failed to even make its budget back and was an overall loss but took in 13% from overseas ticket sales. So a few trends are happening here, which are low percentages overseas –sub 20%, some movies not even being released overseas and a very low number of movies in total for this demographic being released year over year. We also noticed that trying to classify movies for the African American audience was difficult because the data does not reflect it as such. This classification issue exacerbates trying to analyze a difficult market segment. Which comes back to our second question of what does this demographic really want in a movie? Even we had some issues so it’s not a leap to assume producers are struggling as well. If we look historically, there are movies that seemed to cross the boundaries and were successful because they appealed to more than just one demographic group such as Dreamgirls, The Pursuit of Happyness, I,Robot and Inside Man. Movies that were specifically targeted to this group just could not hold up in the international arena such as Diary of a Mad Black Woman, Are we there yet? and Madea’s Family Reunion. Might it have been Madea’s poor international box office showing in 2006 that lead Tyler Perry and Lionsgate to forgo future international releases? This is not a new concept either, there were many movies that weren’t released overseas, such as Waiting to Exhale, Boyz n the Hood, What’s love got to do with it and The Color Purple all from the 1980’s and 90’s. We looked over 40 movies from 1987 thru 2010 and checked the movie ratings to see if any trends might have influenced the box office. In fact, only 14 of the 40 had an R rating and only 4 of those fell into our three-year window. The trend by the MPAA to push ratings to PG-13 is clearly visible beginning in 2000. This is likely the effect of the threats by Senator Joseph Lieberman who proposed legislation regarding policing the marketing of films. The bulk of the analyzed movies were PG-13 rated and the big winners were I am Legend, Hancock and I,Robot. Of the R-rated winners: Eddie Murphy’s Coming to America from 1988, Spike Lee’s Inside Man from 2006 and Bad Boys I and II all did respectable numbers internationally. What we can deduce from this analysis is the market is definitely more complex when dealing with this demographic. It’s an easy conclusion to state that the movies in this demographic only appeal to a U.S. audience. And we also know what the international box office clearly shows up here in the world destruction type movies. So Will Smith’s Overbrook Entertainment seems to have found the secret sauce, can others follow his magic? Join us to discuss this article on Friday March 4 @ 7p /12 UTC! This is a great article for two reasons. One of the reasons is all of the terrible content. I can’t believe “Waiting to Exhale,” “Boyz n the Hood,” “What’s love got to do with it” and “The Color Purple” were never released internationally. That’s just sick because those films feature some of the best talent of the African American community. How do audiences know what’s possible if you don’t know the talent who made or participated in those films? The second reason is all of the excellent content of this article. When you add everything up, you prove that the African American community has an ally in European audiences that they do not have in the homegrown white population. Yes, this should be horrible content also. But the US film developing black community needs allies and better to have a reliable European ally (who doesn’t have an interest in stereotypical content) than not have one at all. What I like about your articles is we frequently do not hear about the film industry from these angles. Your “Battle for the box office” article was very similar in that brought up aspects of viewer appetite that are rarely discussed on many other blog and gossip sites. Thanks for another excellent “by the numbers” article, I hope as many people as possible get to see this article and part one. Despite what the media frequently says, this article has a really positive conclusion that interested audiences should understand. This site is doing a bang up job. I’ll do my best to make the discussion. Thanks Comic Relief for the positive review! Hope you can make our discussion tonight! Whatslovegottodowithit- UK, Sweden and Finland. So there was “SOME” international release on these films but the data is limited. So I’ll retract the statement that they weren’t ever released overseas and re-qualify it as – Limited release and certainly not in a comparison with worldwide releases like Hancock and IamLegend. Hope that makes sense and adds some clarity. The-Numbers database I used states their data is valid beginning in 1995. Thanks for clarifying this. It still does not take away the fact even with a limited release overseas, these films still were not properly supported IMO. For any film to have a shot they need good marketing and promotion etc…. Yes! This cost money but if films are poorly marketed or not sensitive to what audiences want to see than the film and marketing campaign will fail. I am in agreement with you – I think it just goes to show that they are hand-picking markets for distribution in lieu of a worldwide distribution. Thanks for the earlier correction you posted, yet the information is still odd. That the studios expect Will Smith content to perform better than other “African American” conventional box office might still be troubling to some. I wanted to ask you, African American directors like Antoine Fuqua (Training day, King Arthur, Tears of the Sun), and F. Gary Gray (The Italian Job, Law Abiding Citizen, Be Cool), are not really considered directors of African American talent and or content. What expectations do the studios have of audiences when these directors produce films? So here’s a question to you and Open Book both. When I looked at the movie classifications, they were based on the content & similarly actors. The movies by AA directors didn’t seem to be put in that type of category. Quite frankly A few of those movies (King Arthur( Clive owen) Tears of the Sun (bruce willis) didn’t get classified as AA pictures. Maybe going back and picking thru these directors movies is the way to take another view. What I saw was it was based on the content and even then the didn’t tag them all the same. Yeah, but see I wouldn’t class an AA movie an AA movie unless the lead, a majority of the cast and/or the subject was AA. I never would have thought King Arthur, Tears of the Sun, etc as an AA movie bc of the lead actor and subject matter. I agree with you Kim. I would think you can’t extract an AA director and make that an AA film? That seems counterproductive. I mean I guess you can, but as a consumer I wouldn’t classify King Arthur as anything bu historical drama. Exactly, well actually King Arthur was a fictional character, but yeah I would classify it as an AA film. Hey you made it! Thanks! I’m wondering if the reason that these movies are not released internationally is because of the demographic and the topic. Most of the African American movies are very period or historical orientated, which most of the world has no reference too. This could be why they are released only in the US and then we add that we know that most US made movies make most of their money internationally this puts the African American type of movies at a disadvantage. I would go one step further and say that the majority of these movies that I looked at draw on the American experience for african americans, both historically (the color purple) and current (madea). International audiences we’ve already shown aren’t knocking each other down to see these types of films regardless of who is playing them. Yes!! I would agree films that are about America tend to not do well internationally. However, I believe films that are about overcoming adverse situations have wider appeal. Case in point I am Legend. yeah, but if I’m not mistaken in Lurker’s other article about BO numbers the end of the world scenarios were one of the draws for international BO anyway. I am Legend just took that one step more and cast Will Smith as the lead and the other cast member was Latina if I remember right. Which was a very brave move by the producers, studio, etc. I might have to challenge you on this movie I am Legend. My take is it’s a futuristic movie – set in 2035 after world destruction due to plague. I think that’s the genre this movie falls into! I would agree that films that invoke connections that all humans share will tend to reach a wider audience through out the world. See I wonder if its because the international audiences can’t relate. Plus, if the money hasn’t been there for these movies in the past it will be very hard to convince studios or distributors to spend the money on marketing and promoting a film if they are not going to make the money back. So, in one way the African American producers, film makers, etc. Need to find something that the international audiences will pay to see (because we know from the figures that is where the money is)and something the US audiences will also see, but not lose their main audience the African American audience. Now, I know that this article primary concentrates on the African American movies, but I would think this would actually be a problem for all minority film makers. Honestly I think Hollywood wants us to think that, but I don’t believe this can be proven. I watch Asian films knowing very little about their day –to-day culture and came out of the theatre enjoying the movie (regardless of genre). The notion that African American producers don’t produce films without universal appeal should be proven before anyone confirms this notion. I would agree and maybe AA “producers” have already done this with some main stream movies that don’t have an AA as the principal actor? I’m just thinking like King Arthur or Tears of the Sun, which I did not know were directed by AA directors, but had Caucasians actors as the leads. I tend to agree with you on proving what AA producers are making first. We haven’t done that analysis, we analyzed the data based on content genres. So that would likely pull in very different movies than the one’s we’ve highlighted in this article. Again, the classification of what is a AA movie should be further defined. Is that AA director or AA producer or AA lead characters, or All 3 in the case of Tyler Perry. What was pulled in here was AA lead characters/content. Will Smith happened to produce two of his films big films. This is what I said about classification being confusing! Really great observations again. I think today filmmakers are combating pirating and video game industry etc…. That films are really taking a hit. There was a report put out that American movie ticket sales were lower this year than last year. So international markets is really something HW needs to supplement American audiences IMO. I agree from a business perspective, you want to reach a larger audience, regardless of where they are. I think HW is a bit slow to realize the ‘global marketplace’ compared with other businesses. If there are potentially triple the ticket sales overseas why would you not consider them as part of your audience. I hear in China (world largest population) bootleg videos are selling for a dollar. Yeah I have heard the China is the worst for bootleg videos and HW is supposedly working with the Chinese government to try to curtail this, but that the Chinese government is in no rush. Surprising since the Chinese are communist and censor so much including the internet and most movies. Sorry, I meant to say ticket sales were lower in 2010 than in 2009. I guess it’s crazy to expect that countries with the worst human rights records pertaining to freedom of speech would be the most vigilant about stopping piracy ( in regard to freedom of speech). Yeah, not a great record there. Eventually, it will have to be the market for many US and other countries to try to get a share of. It will have to take time and patience. hi Everyone sorry I just jumped in. Hi Kim, thanks for joining! Something I gained from both of your last two articles was that movies make most of their money internationally. The box office numbers clearly show that, yes. I think that’s due to population and due to the fact that technology has reached areas in the last 20 year that weren’t there before. Emerging markets if you will? I noticed in your article u mention the MPAA debate. Now, what was interesting was the number of films that got a PG-13 rating. I was shocked!! I noticed that a lot of African American comedic films are R rated. Everyone knows in HW an R rating can kill a film if u don’t have a major star in the film. Yet, that’s not even a guarantee!! Can u elaborate more on your findings about films that are PG-13 versus R-rated? Wow its a full house tonight! SO to jump in on the MPAA debate question, 2 of the 6 R rated movies were Spike Lee films. Miracle at St Anna a total loss, they had a budget of 45mil and only took in 9.1mil in box office. This was a WW2 piece from spike lee. I didn’t look at the critics reviews but assume the worst. The other Spike Lee film was Inside Man with Denzel Washington who is well know and a great actor, good box office draw – – it did pretty well. Made 96 mil from overseas (51%) so close to our other numbers. I would call that a success. Actually Miracle at St Anna was not a bad movie, but not a great movie either in my opinion. I didn’t see Miracle at St Anna either. I don’t think anyone did. I absolutely loved Inside Man. I think SL really does puts out great films when he has more time to develop them. This film was smart had a multi-racial cast the issues were really clear delivered well. I also absolutely loved the movie soundtrack and art direction etc…. Just a great film. Anyway, I say all this because SL is not a quick churn them out filmmaker. He’s an artist and that takes time to research, develop and if it’s hatched to soon the stuff is not good. Hi CR!! & Kneon waves!!!! New & returning visitors welcome!!! Please feel free to add your opinion to the current topic!! Hi Ozzie! Glad your here! The only reason I mentioned the international aspect of film receipts is most of my friends are usually really really slow to account of this aspect of film assessment. But Lurker your article seems is underline that this may be the most important aspect of film sales. I would agree comic relief after looking at Lurker’s last two articles that is where the money seems to be, which has to be a hard thing to swallow for HW and the US. I’m curious why your friends don’t see or account for the international audience? Do you have an assumption why after reading these articles? If business like Caterpillar Microsoft Apple are considered the global market place how come Hollywood discards it? That makes no sense to me at all. Responding to your question, what I suspect is we should stop being this way because it leads us in a direction that doesn’t assure us the best return on our entertainment investment. I know we’ve all discussed there here before, but tonights discussion sort of underscores again this idea. HW decides the success or failure of a movie on US ticket sales only. The idea of dvd sales is like gravy, and they don’t factor in Int’l ticket sales at all. With the emergence of multiple types of delivery systems now available, HW is going to have to change their model. I so agree with your conclusion! I second (or third) that. Exactly, dvd sales are going to drop big time in my opinion, just like cd sales did in the music industry, why because of live streaming. I also predict eventually people won’t need to go to the movie theaters to see the newest movies because eventually they will be live streamed into your home. Yes, HW needs to realize this is a global industry just like anything else. Most of their money is made globally. Also, they are starting to realize that movies don’t need to be made on a back lot in LA they can go anywhere in the world to film now. I agree that streaming will start becoming more of an influence in the dvd rental and sales markets. several companies are already investing millions of dollars for streaming rights. Last week with the governments approval for Comcast to acquire NBC, one of the agreements was to allow internet access to all of NBC products. This may set a prescient for future companies entering the streaming market and that will have an impact DVD sales and box office sales. I agree, all of these alternative delivery models have to factored into to HW now. They cannot just say a movie bombed at the theatre and then it pulls in 20 mil in dvd sales or streaming revenues. Its not just movie theatres anymore! That is a good point. I wonder why HW doesn’t look at the over all profit, not just BO as a success or a failure. Because in my mind if the movie made money after everything is paid (marketing, disturbing, filming, etc) then that is a success, but for some reason HW doesn’t. Hi Comic Relief! How are you? Why doesn’t Tyler Perry release his films internationally? It’s a very compelling question, seriously. The comedian!!! Great idea tell TP hello. Well it’s just up the road by the airport! If you want my opinion it maybe because what we have been saying his topics can’t be, I don’t want to say understood by the international audience, but maybe they can’t relate to well. I would bet that they have done screenings or market research and found that they just won’t do well so they concentrate on the US market. Right, when you think about it Tyler Perry is a rich man now. He’s made some serious money on his films in the US market. He just didn’t go looking for blockbusters. Maybe that’s the difference? Yeah see more people in HW have to start to think that not all your money can be from blockbusters, there are only going to be so many blockbusters in a year. Why not look at several small success in a year to make money that way. Smaller budgets and quality movies. I think that is what would be better in the long run. I have to say personally I like some of the sleeper hits or small movies than some of the big budget blockbusters. Hmmm! Unfortunately, big studios believe they can’t keep the lights on without blockbuster films. However, the film audience that HW made the most money from last year were from the older demographic 30 and over and not the 20 and under. That’s surprising and then not really. The younger demographic is easier to seize streaming, and alternatives to the theatre, plus the younger demographic has so many choices for entertainment it’s a tough competition for that audience. Heck, we can’t get them to put down their cell phones and stop texting! Yes, even during a movie. Ugh!!! But you are right HW needs to realize there are more people in the older demographic bc all of the baby boomers are no longer in than demographic. So, start make more mature movies and I’m not saying the “R” movies. Yes! Another little bit of info. The films that did well among the 30 and over demographic were Kings Speech, Social Network, etc.. All the films that got high marks from critics. And you know OpenBook that doesn’t really surprise me either. I think we’ve seen the trends here that we have a more sophisticated audience in the U.S. that likes movies like Inception, Shutter Island too. We want thinking entertainment- and what’s interesting so does overseas. Again, I think that goes back to the older demographic coming into play. I personally, never go by what the critics say I usually disagree with them 95% of the time. I do notice though that even my sons liked both Inception, Shutter Island and Social Network. Which may also show that maybe the younger demographics are expecting more out of the their movies too. I know!! I think more films about the future are great!! I think AA filmmakers are really in a tough situation and are really being cautious. I mean they have a lot to juggle and still try and turn a profit. However, I really think they do have a shot at the international market and making more films like Sci-Fi films. Something we just don’t see a lot of. I mean The Matrix cleaned up at the BO with African American consumers. You know I found shocking how much money Will Smith has made recently! Yes! Also, with the recent success of Karate Kid he’s really in demand. However, he’s taking his time and I like that. Well Will Smith seems to be someone that has his hands into a lot of different projects, similar to Ben Affleck and Matt Damon. Will Smith is very popular in the UK. Most of his films do very well here. The Fresh Prince of Bel Air was very popular. It was on one of the 5 major channels (although at that time it could of been four) and ran for a very long time. I think that had to do with some of his success but also he comes across as a very nice, friendly and funny gentleman. People can’t help but like him it seems. Well that would explain why I am Legend was released then internationally, if Will Smith is well received internationally than his films probably will be well received. It would be interesting to see how his other films did Men in Black, Independence Day, etc. Men in Black and Independence day will have done very well I assume because they are often shown on TV. Independence Day was on the other week and I was kicking myself because I missed the majority of it! I’m having troubles with my internet tonight. I severly dislike my pc right now. So i’m going to go for the evening. I hope everyone has a good night. Night Paris. Talk to you soon. Please jump in!! Not to put u on the spot. LOL!! However, have u seen a Tyler Perry film? If so what are your thoughts as a UK representative. No Pressure!! LOL!! I don’t think I have seen one of his films. I am writing about a UK perspective but it’ll be a long one again! With the direstion of this conversation, we’re really fortunate to have this perspective. I know! Just wait until you read Ozzie’s perspective! She’s usually good for about 5 paragraphs! We love her input ! Take your time!!! Love it!! LOL!! The text limit need not apply!! Go for it! Posted. Didn’t max out the text limit this time either! *sad face* One day……. U did a great job!!! THINKING ENTERTAINMENT!!! Love the phrase. No you have a very good point. The sad thing is we are raising our next generation this way, plus they expect this instantaneously which is not good. As it is they (the pre-teens, teens, 20s) look at some of the reality “stars” and see they don’t have to really do anything to make that kind of money so I don’t have to or they see the stupid things they do and get paid for it which is even worse. We need to make them see that hard work, planning and thinking is the way to get great ideas and establish themselves. Ok, I’ve done a quick search and discovered a few things that may help with the ratings in the UK. The largest ethnic group is South Asian followed by Black then mixed race. So obviously if the African American actors/films trying to just target the Black market, it would cover only the 3rd and part of the 4th biggest ethnic groups. Also, although we have alot of American TV over here it probably isn’t enough to familiarise us with the full spectrum of American culture. For example The Blind Side was partly focused on American footbal which not many people here know about. Games are shown here on one of the main channels in the early hours of the morning every now and then. Also, the origin of our Black race are from or are descended from the Carribean or straight from Africa most likely. So obviously, they are more familiar with that culture. If the film is about gang culture, the majority is probably the same, the weapons are different. We have strict gun laws and although it is possible to obtain a gun the most likely weapons used are knives. Not being in a gang (lol) I don’t know if that would affect sales much. I’m guessing not but it is a point. Obviously, the films about South Asians (the 2nd largest ethnic group) do alot better however I can’t recall many (if any) Hollywood films that are targeted to South Asians. So popular films come from Bollywood, other areas of South Asia and British films. Slumdog Millionaire, East is East and Bend it like Beckham are a few of the popular British made films. Of course those indie films (or aleast Slumdog) have had worldwide success. Unfortunately many other indie films don’t have much success when it comes to getting it out to a wider audience. In terms of nationality I have nothing in common with people who made the “Kings Speech”, or “Slumdog Millionaire”, yet I enjoyed both films. I don’t believe you have to share gender, race, nationality or religion to appreciate movies that are foreign. Wow, this was exhausting but fun. Unfortunately I need to go, but thanks everyone. I’ll try to join you again soon. LOL!! Thanks for joining us CR!! Thank you so much for attending and participating! No neither do I but I was just talking in terms of “if” they were the main targeted audience. The three films I mentioned are very popular through out the UK no matter the age, gender, race etc. are. That is very interesting Ozzie. Personally, when I visited the UK I didn’t go to see movies, I went to see the theater. But knowing the history behind the UK I can understand what you are saying about the ethnic diversity being different in the UK than in the US. Again, the weapons and gangs are very different btwn the two nations, which would also explain why these type of movies don’t do well in the UK or internationally, because of the same reasoning. We forget that the US is a lot freer than most other countries in the world so some of the things that we take for granted her in the US are foreign to those in other parts of the world. Excellent and Great analysis Ozzie!!! As always!! Something u mentioned that is interesting are the American films about American gangs and football would not be relatable in the UK. That makes perfect sense. Would a film about the future or American biopics not related to gangs and football do well in the UK. Also how about African American comedies? They are abundant in the US. Would the African American comedies appeal to the UK culture? I know this is to Ozzie, but I would think that American biopics of any kind would be a hard sell out of America. Just like foreign biopics don’t always do well here in the states. Unless you are someone like me bc I love history. I also think that the African American comedies would be lost in translation in the UK and other parts of the world because they can’t relate. Just my opinion, but I think that is the major problem why AA movies don’t do well internationally. Most of those films would do well if they have a good script. Comedies/westerns/action adventure/sci fi and end of the world are popular. When it comes to Amercian history/biopics I suppose it would depend on who the actor/actress are in it and personal preference. If the biopics are about people we know, it should be fine. Even American history is ok, we learn some American history at school and if you take history for GCSE (high school diploma, I think!) you go more in depth or atleast you did 10 years ago! I don’t know if that answers your question. My brain is slowly shutting down for the night. lol. I think I’d have to get a closer look at what has done well and what hasn’t to get a further and more precise break down. U really added so much insight and great analysis into this big issue!! We are nearing the end of our discussion on this topic. Please if u have any further words to add u have five minutes of final thoughts. I posted a comment about about what constitutes a AA film. or is that really broader, director/producer? IMO: It’s the content, cast, director and producer. I’ve been savings this because I already know the answer. However, I think when actors, directors and producers do better if they are not put into a box. Meaning it will be great when AA artist won’t be defined as only being able to tell or produce AA content. Anyway I think a director who’s done a great job of this is F. Gary Gray who did Law Abiding Citizen and The Italian Job. Both of these films did really well and know one knew he was AA. True I certainly didn’t! You can count me as one of those. If you’re going there what about Forest Whitaker. I love his movies – Last King of Scotland, Vantage Point. I wouldn’t have classified Vantage point as AA either. Oh! I just popped in and saw your comment and did not want to leave u out there. However, Forest Whitaker is a great artist. He seems to do really diverse work. However, he has yet to play or have not starred in many romantic leading man parts. This is my only concern with using him as an example. However, he has definitely done a lot a amazing work and also directing. Really great artist!! Wow 2 hours just flew by! Ah, crap! Missed another one…Well ladies, I loved reading all your comments. You are all so intelligent and I figure you all must be involved in the industry. Even if I had been here on time, I think I would have just read and lurked because ….well, I don’t think I would have had much to contribute. I think you all have made some really valid points and I have honestly never thought much about this topic. 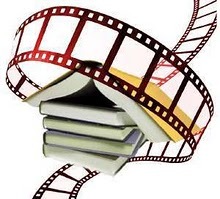 I need a Movies for Dummies so I can hang with ya’ll! I loved and adored The Color Purple! I think the AA film makers/producers/actors should definitely try and get more of their work out there! Whether you are white, black, brown, purple, red, magenta, turqouis…everyone has a great story to share that will make a difference in somebody else’s life. Sorry we missed u!!! Please take a look at our About page it will provide u with more detailed information. However, we are trying to give audiences more in-depth analysis of current issues being discussed in Hollywood. So we actually welcome entertainment consumers and producers perspectives on articles. We are glad u are learning a lot from our site but we hope audiences will learn from u as well. So your opinion really matters!! Thanks for weighing in!! Greetings from California! I’m bored to death at work so I decided to check out your site on my iphone during lunch break. I really like the info you provide here and can’t wait to take a look when I get home. I’m amazed at how fast your blog loaded on my cell phone .. I’m not even using WIFI, just 3G .. Anyhow, fantastic site!